OLIVE OIL REVERSE AGING??? WTF!!!!!!!!! Sales of skin and hair care products in the U.S. are a multi-billion dollar business and growing. Many of the latest “miracle in a jar” options are marketed as high-end, but costly, solutions to everyday challenges: how to keep skin moisturized, hair healthy, and facial skin free of wrinkles. Some of the most popular products, promoted as “natural” solutions, even incorporate olive oil as a key ingredient in their formulas. But what many consumers don’t realize is something that people living millennia ago in ancient Greece took for granted; that extra virgin olive oil, all by itself, is one of the best beauty secrets. 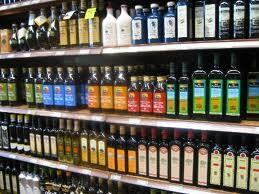 In addition to being a natural, hypoallergenic way to moisturize skin, extra virgin olive oil has the added advantage of providing strong antioxidants, like Vitamins A and E that help repair and renew skin that has been damaged from overexposure to sun, air pollution, and other modern-day environmental hazards – like cigarette smoke and fast food. These antioxidants have the natural ability to stimulate cells and return skin to a firmer, smoother, and healthier state. Our readers have also suggested that a little lemon juice mixed with olive oil can provide a more bracing and refreshing feeling. In her best-selling book The Passionate Olive, Carol Firenze suggests making a moisturizer made of Italian parsley, water, and extra virgin olive oil. If dry and scaly skin is a problem, Carol Firenze also suggests mixing olive oil and sea salt in a rub and massaging it into the affected area to slough off dead skin and enrich the healthy layer beneath it. Or add a few tablespoons of olive oil with a drop or two of lavender essential oil in a bath. This is a luxurious way to relax, soothe and moisturize the whole body. Extra virgin olive oil makes the perfect, simple solution for dry nails and cuticles. Simply rub a few drops into the cuticle area and around the nail. Cuticles stay plump and moist, and nails respond with a natural shine. Just a drop or two of extra virgin olive oil on a cotton pad is all it takes to gently and effectively remove eye makeup without irritating the delicate skin around the eye area. The biggest added advantage is that when used consistently, olive oil can soften the skin around the eyes and smooth out wrinkles.